Only two and a half hours direct flight from Brisbane, less than five hours from Sydney (via Port Vila), or an hour by domestic flight from Port Vila, Espiritu Santo (link to Wikipedia), the largest island of Vanuatu (4,010 km2) was named by De Quiros (link to Wikipedia) in the 1606 when he made a navigational error of some thousands of miles in a vain attempt to find Australia. Despite the passing of four centuries, Espiritu Santo's majestic beauty is little changed. It is perhaps best known as the inspiration for James A. Michener's (link to Wikipedia) classic "Tales of the South Pacific" (link to Wikipedia). Indeed, it was only the advent of WWII that had any real impact on the people and landscape of the island. During the course of the war, over 100,000 allied troops and support staff was stationed here during WWII Amid the thick jungle there are remnants of crashed B17 bombers, deserted Dakotas and Quonset huts. 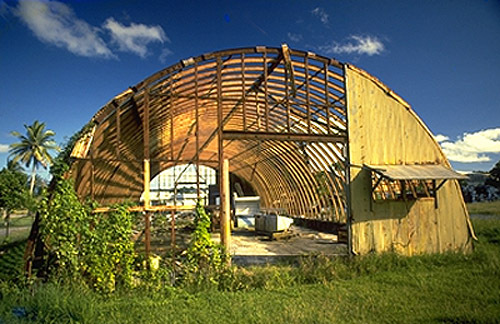 Many of the buildings in the only town, Luganville, are old Quonset huts, with fences of upright Marsden matting rusting away under a deluge of decorative vines. The SS President Coolidge was built as a luxury liner providing trans-pacific passage and commercial service. Passengers had a luxurious experience on the ship with spacious staterooms and lounges, swimming pools, a barbers shop, beauty salon, and soda fountain. Early 1942, the SS President Coolidge had begun her days servicing the South West Pacific. As a troop carrier, she was never intended to see any action. On October 6, she set sail from her home port of San Francisco, California for New Caledonia and Espiritu Santo.A large military base and harbor had been established on Espiritu Santo and the harbor was heavily protected by mines. 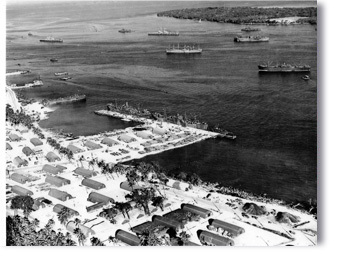 Information about safe entry into the harbor had been accidentally omitted from the Coolidge’s sailing orders and upon her approach to Santo on October 26, 1942, the Coolidge, fearing Japanese submarines and unaware of the mine fields, attempted to enter the harbor through the largest and most obvious channel. A friendly mine struck the ship at the engine room and moments later, a second mine hit her near the stern.The captain, knowing that he was going to loose the ship, ran her aground and ordered troops to abandon ship. Not believing the ship would sink, troops were told to leave all of their belongings behind under the impression that they would conduct salvage operations over the next few days.Over the course of the next 90 minutes, she listed too heavily on her side, sank, and slid down the slope into the channel. She now rests on her port side with her bow at a depth of 20 meters and her stern at 70 meters. 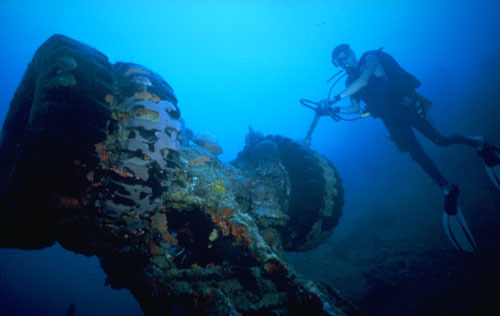 Beneath the waves at Million Dollar Point, divers can view the legacy of military evacuation, where the U.S. forces dumped thousands of tons of war surplus prior to returning home. In 1960’s Jimmy Stevens (link to Wikipedia) created custom village called Fanafo. 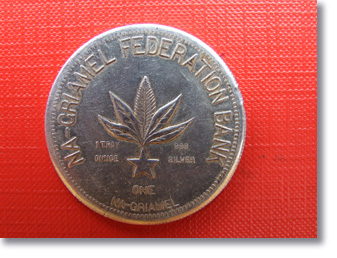 Jimmy Stevens, known as "Moses" (born 1910s or 1920s _ died 28 February 1994,), was a Ni-Vanuatu nationalist and politician. As leader of the conservative Nagriamel movement (link to Wikipedia), he declared the independence of Espiritu Santo island as the "State of Vemerana" in June 1980 and referred to himself as "prime minister". After the Republic of Vanuatu was granted independence in July, Prime Minister Walter Lini (link to Wikipedia) deployed Papua New Guinean troops and the revolt was crushed in August. Stevens was of part-European, part-Melanesian, and part-Polynesian descent. He reportedly had 23 wives and fathered four dozen children. For SCUBA divers, Espiritu Santo is the mecca of the South Pacific. 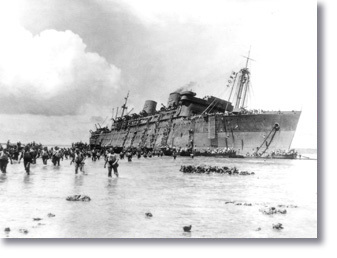 It is the final resting place of the 22,000 ton liner turned troopship "SS President Coolidge" (link to Wikipedia), the destroyer "USS Tucker" (link to Wikipedia) the first ship fire against Japanese in Pearl Horbour is now resting in shallow water near Malo island. WW2 dumping ground "Million Dollar Point" is now home for schools of tropical fish. 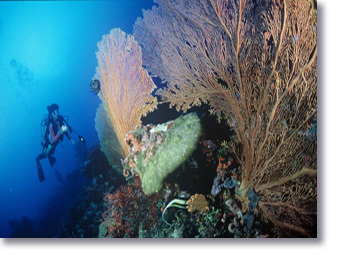 Espiritu Santo and near by islands offer many pristine coral reefs, like "Cindy's reef", "Tutuba Point" "Chails reef", only short distance from Luganville. For the adventurer & trekkers, Espiritu Santo island has the highest mountain in the Vanuatu, Mt Tabwemasana (link to Wikipedia) (1879m), Santo Peak (1747m), 80% of the island is covered by thick tropical jungle. You can trek anywhere on this island, with the right guides with villages' permission. A few trekking tours exist, including the not-so-soft adventure tour “Millennium Cave” and the tour to the genuine custom village “Marakai”. For travelers, the beauty of Espiritu Santo is unmatched. Stunning jewel-like islands lay just a few hundred metres from coconut fringed beaches lined with powdery white sand. Amazing blue holes are connected by underground caverns and majestic mountains stretching from one end of the island to the other. 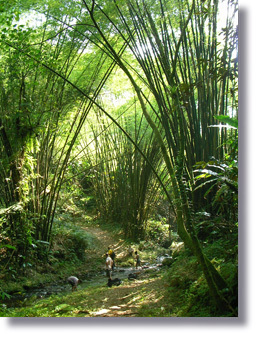 Awesome ravines shrouded in magnificent tropical rainforest are home to jungle birds and beautiful orchids. Huge Kauri trees still grow in the southwest mountain forests. 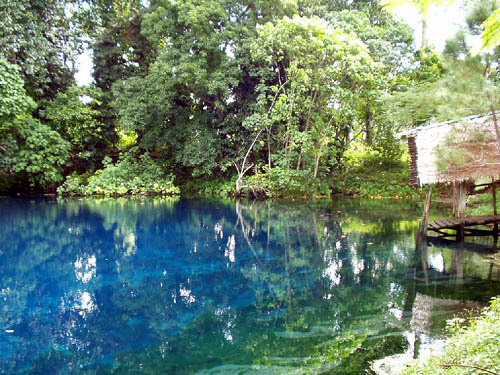 In the north, Big Bay conservation area, Vanuatu's first National Park is the first step to ensure this beautiful island will remain pristine.